Emily goes out for a stroll with comic Al Murray and brings along her Shih-Tzu Raymond. Al tells Emily about his childhood labradors, his family and his famous literary ancestor. He discusses his days at boarding school, his hatred of confrontation and his start in comedy.&nbsp;&nbsp;They also chat about his famous alter ego the Pub Landlord and forthcoming tour, Landlord Of Hope and Glory (for tickets go to&nbsp; ). This week Emily goes out for a stroll with legendary comic Ricky Gervais. Ricky brings along beautiful German Shepherd Anti who plays his dog in Afterlife, Ricky’s brand new Netflix series. He talks about his childhood pets, his mum’s brilliantly dark sense of humour and explains why he thinks dogs really are the best. Afterlife is available now to stream on Netflix. 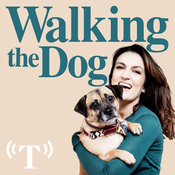 &nbsp;This week in a very special edition of Walking the Dog,&nbsp;Emily Dean is interviewed by Katherine Ryan, in front of a live audience with their two dogs Meg Ryan and Raymond. They chat about Emily's new memoir Everybody Died So I Got A Dog, and Katherine asks her about her eccentric childhood, how she dealt with loss and the miniature Chewbacca lookalike who turned out to be her saviour. Walking The Dog - Live Event News! 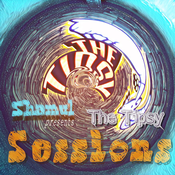 Lyt til Walking The Dog with Emily Dean, Tipsy Sessions og mange andre stationer fra hele verden med app'en radio.dk.